The wraparound design of our nursing pillow secures it to your body, helping you and your baby to maintain firm and comfortable position while breastfeeding. The flat part of the cushion helps to keep your baby from rolling away from you, while the arm and elbow rests help to alleviate shoulder stress. There is also a convenient pocket to keep milk bottles, burp clothes, your phone and other items within easy reach during breastfeeding. Breastfeeding your baby can bring many benefits. It helps you create a special bond between you and your newborn and provides all the nutrition they need during the first six months of life, satisfying both their thirst and their hunger at the same time. Depending on how quickly your little one feeds, though, the process can be long, and your arms can quickly grow stiff. 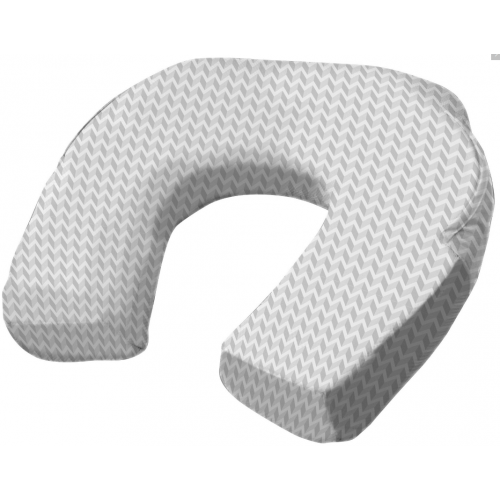 The nursing pillow from Baby Studio can help alleviate this strain by providing much needed support, allowing you to focus on what’s important – ensuring your baby gets the nutrients and comfort they need. Baby Studio provide modern Australian families with only the best baby products on the market, all designed to help you and your loved ones get a good night’s sleep.